Since it was founded as a teen drop-in center in 1972, Community Solutions has grown in both depth and breadth of services in response to the growing and changing needs of our community. Today we provide a comprehensive spectrum of prevention, intervention, treatment, and residential services to the communities of Santa Clara and San Benito Counties. 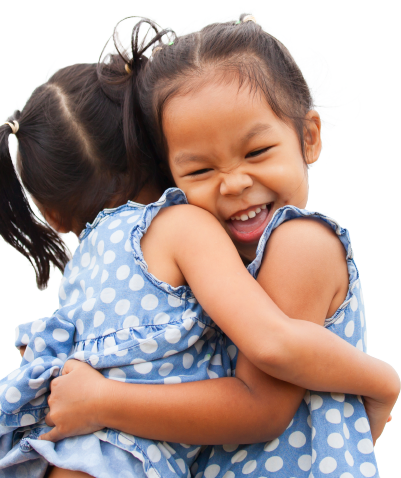 We provide services and support to help children, families, and individuals overcome the challenges posed by mental health issues, substance abuse, trauma, severe family dysfunction, sexual and domestic violence, and human trafficking. Community Solutions is a nonprofit 501(c)(3) agency, Federal Tax ID: 23-7351215 (Legal Name: Community Solutions for Children, Families and Individuals). The following values represent who we are and what we believe in. They guide the work that we do as well as our interactions with each other and the larger world. We affirm the dignity, potential and contribution of our clients, staff, partners, donors, volunteers, board members and community. We actively welcome and respect cultural diversity. We consistently adhere to respectful interactions at all times, using our words intentionally. We support each client to establish and pursue their own life goals. We act consistently with our mission, being honest and transparent in what we do and say, and accept responsibility for our collective and individual actions. We adhere to firm principles of moral, ethical and professional standards. We continually challenge ourselves to the highest levels of performance and learning in order to achieve the most effective services to our community. We commit to continuous quality improvement and data-driven decision making. We hold each other accountable to these principles and support one another in adapting to change. We value, support and celebrate each individual who constitutes our collective team. We hold each other in high esteem and wholeheartedly engage each other and those we serve with kindness. We strive for meaningful work-life harmony and support self-care. We collectively build a positive, strengths-based culture. We celebrate our individual and collective successes and accomplishments. We strive to build hope and uplift one another. We have fun and laugh together. We seek innovative solutions to the complex challenges our community faces. We use effective change management and project management skills to ensure we are responsive, timely and efficient. We build on the strength and resiliency of our collective team to address these needs. We value personal connection and foster genuine and trusting relationships with one another. We are collectively determined to achieve our mission, vision and shared goals. We wholeheartedly engage in strength-based, solution-focused problem solving. We share knowledge, resources, and skills to serve our clients and community with continued excellence. The following principles guide our programs and client interactions. They help us to build emotionally healthy children, families and individuals, and to increase their interdependence, self-reliance and safety. The plan of care identifies, builds on, and enhances strengths of our clients, their community, and other team members. Team interactions demonstrate appreciation for each member’s competencies, skills and knowledge. Clients have a primary decision-making role in their care as well as the policies and procedures governing care for the agency. The team consists of individuals agreed upon by the client and are connected to them through natural, community, informal and formal supports. The service process demonstrates respect for the individual, family and their community, building on their values, preferences, beliefs, racial and cultural identity. Team members work together and share responsibility for developing, implementing, monitoring, and evaluating a single plan of care. The plan reflects a blending of team members’ perspectives which, guide and coordinates each team member’s work with each client. The team implements services and support strategies that take place in the most inclusive, responsive, accessible, and least restrictive settings possible, safely promoting clients’ integration into home and community life and roles. The plan of care includes strategies, services, and supports that the team develops and implements in response to the individual and unique strengths, needs and aspirations of each client. The team actively seeks out and welcomes natural supports and integrates their perspectives fully into the planning process. The plan of care reflects activities and interventions undertaken by natural supports. The team consistently uses unconditional positive regard while working with the client toward successfully reaching their goals. While considering community safety the team perseveres to support the client regardless of behavior, legal status, individual or family circumstance. Supports and services are designed to meet unmet needs across multiple life domains. Formal therapeutic services are viewed as tools to meet normalized needs rather than as needs in and of themselves. Services and supports are dynamic and have the ability to change as needs change. These services and supports are accessible to the client given their ability to creatively adapt to change. The team ties the goals and strategies of the plan of care to observable or measurable indicators of success, monitors progress in terms of the indicators, and revises the plan accordingly, until the team reaches agreement that a formal process is no longer required.